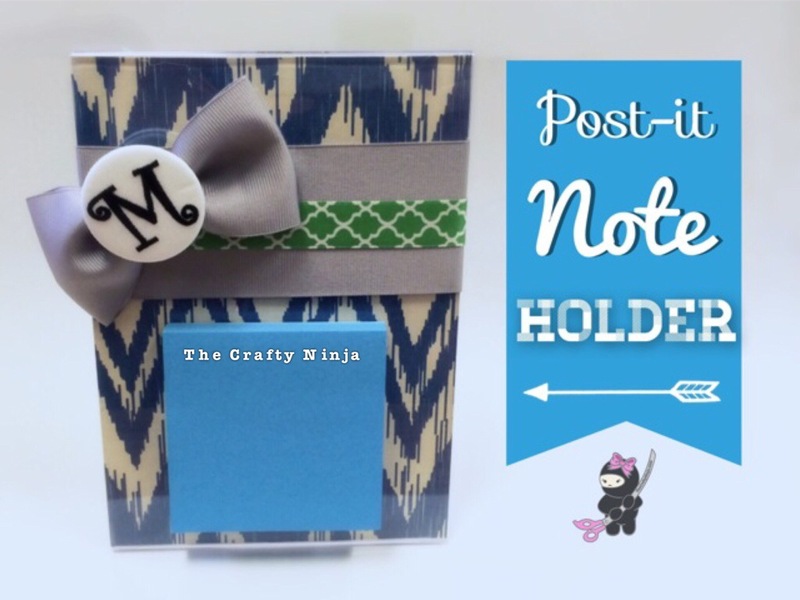 I have’t created any DIY porjects recently but I had a DIY exchange with some Nail gals and thought the perfect gift would be a Post-it note holder. I asked the girls discreetly what their favorite colors were and got scrapbook paper and ribbons to match. I went to my local crafts store Hobby Lobby to pick up all the supplies: Scrapbook paper, Acrylic 5×7 Frame, 2″ Grey Ribbon, 5/8″ Ribbon, Button Letter, and Post-it Note. Other supplies I already had: Scissors, Hot Glue Gun, and Extra Glue Sticks. This would be a perfect gift to anyone: a child teacher for teacher appreciation, a coworker in the office work space, and of course anyone who writes down notes!